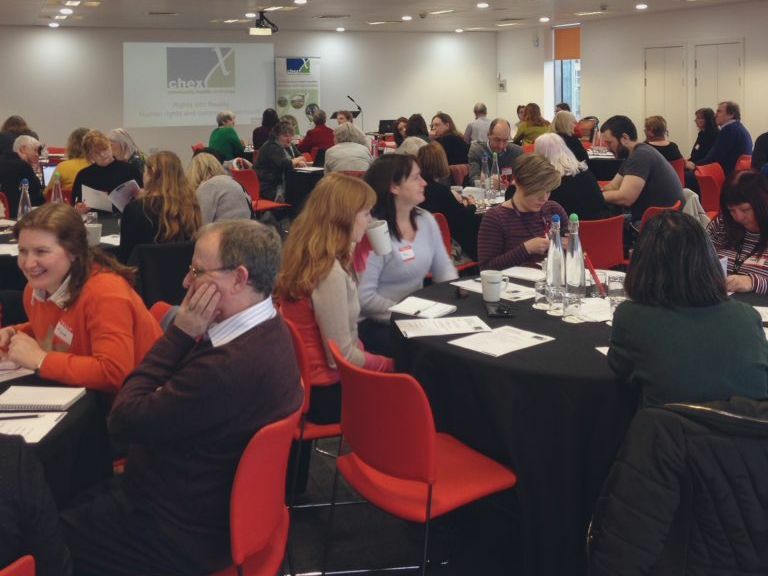 More than 120 people came together in Glasgow for a day of discussions and workshops around human rights and community-led health. Everyone here at CHEX was absolutely delighted to have so many people joining us to explore how we can use human rights-based approaches in our work - and hear from incredible examples of practice from across Scotland and the UK. This is a powerful reminder of just how important our human rights are, as well how much work needs to be done to ensure our rights are upheld and protected - especially for those who need them most. In our workshops we learned about the amazing range of practice that's going on right now, and how much experience and expertise already exists around human rights and community-led approaches. Our morning workshops covered a range of issues around disabled people's rights, mental health discrimination and housing rights. In the afternoon, we took a deep dive into community-led health practice with 4 brilliant workshop covering social prescribing, Health Issues in the Community, the Right to food and power and health. You can read all about workshops here. It was brilliant to have so many people coming together to discuss these important issues. Sometimes there were frustrations or concerns things aren't changing quickly enough, but everyone who attended brought a wealth of knowledge, lived experience and ideas with the same goal of improving the the things are for the better. If you made it along we hope you enjoyed the day and found it useful. We'd like to thank everyone who contributed throughout the day: our brilliant Chair Iain Stewart from ECHF, Judith Robertson from SHRC, all of our amazing workshop contributors and, of course, every one of our attendees. You can catch up on the day using #RightsIntoReality.